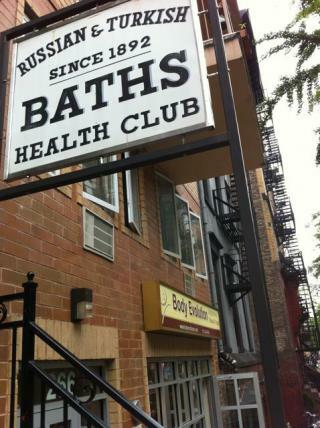 Founded in New York in 1892, Russian & Turkish Baths is a labyrinth of exotic saunas, therapeutic steam rooms, and sumptuous massages. A temple of heat and bathing where you can escape everyday stresses to relax, transform, recuperate, rejuvenate, and wash away all the tensions of everyday life. They encourage traditional, shared rituals of bathing for a day filled with detoxing, playing, steaming, eating, exercising, swimming, and having fun.